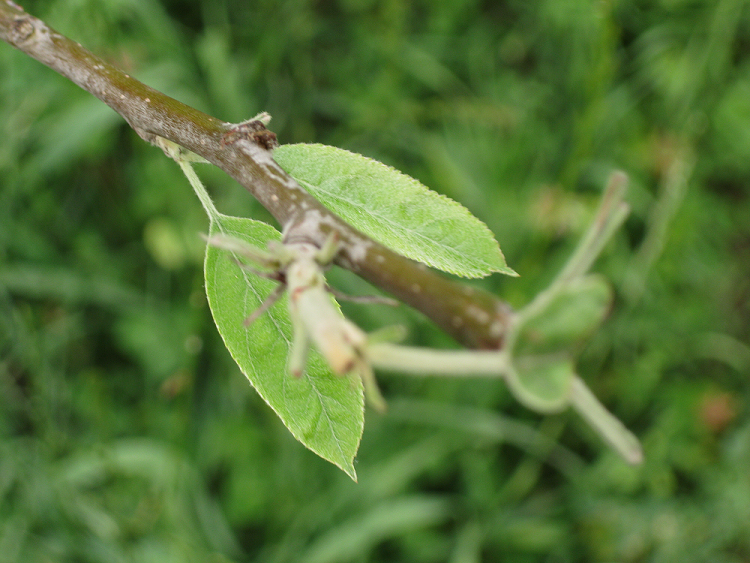 The deer have been eating the buds off our freshly planted apple trees. Normally we would fence around the trees but for some crazy unknown reason that didn’t happen. So what are we doing to prevent the deer from continuing to munch on our delicious trees? Soap. 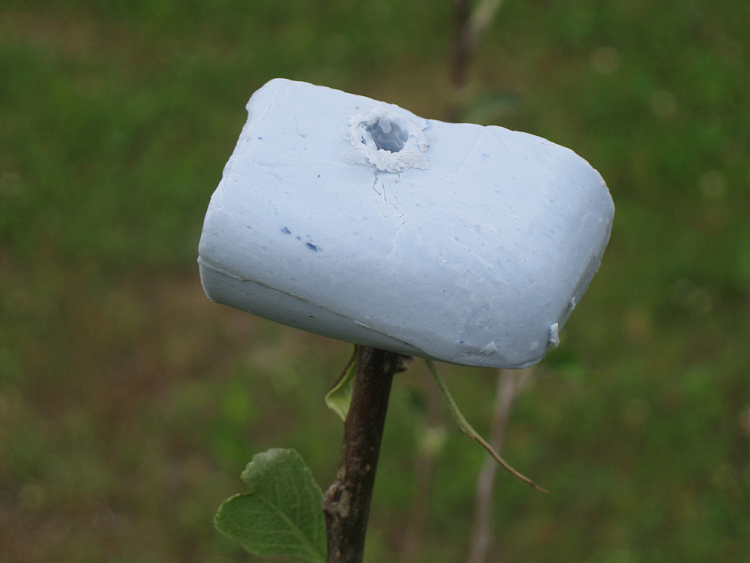 Yup we have drilled holes in bar soap and slid it right onto a branch. The idea behind this is simple, when it rains the bar soap will get what and the deer want nothing to do with the tree. It’s a little known fact but deer hate Irish Spring soap. The neighbors think we have lost our mind but IT WORKS! Look at that little tree! Now it can grow without worrying about deer eating it! 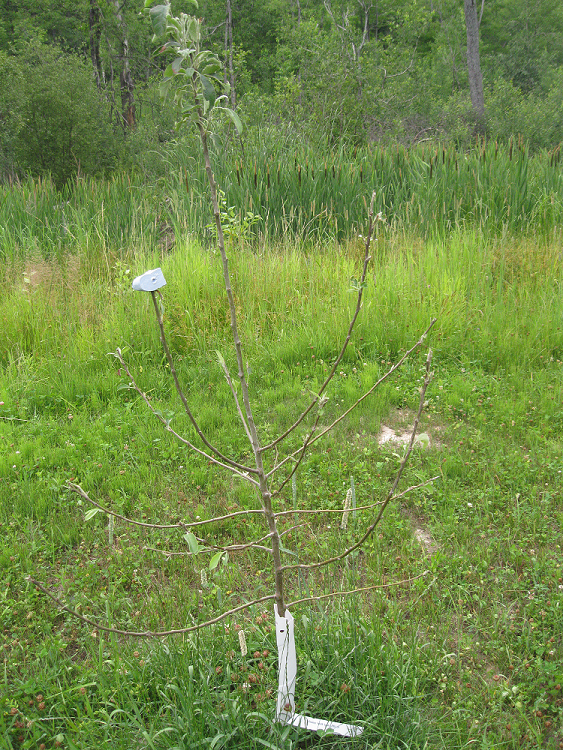 This entry was posted in Apple Orchard, Food Plot and tagged apple tree, deer, irish spring soap, orchard. Bookmark the permalink. Do you mean I can put soap by my buddies tree stand and the deer walk by my stand? That would be to funny up till I tell him. Then I will have to run.